It’s Thursday again, and you know what that means….Throwback Thursday! 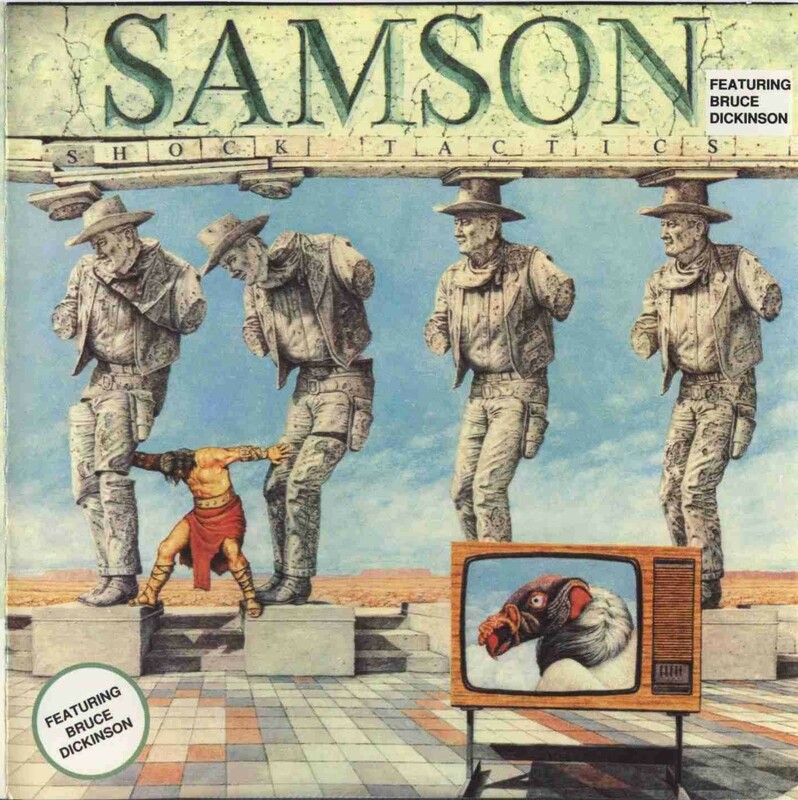 This week’s throwback is the album Shock Tactics by Samson in 1981. For those unaware, this is the band Bruce Dickinson was in before joining Iron Maiden. If you like Maiden and and never heard Samson before, you’re in for a real treat. It’s Thursday, and you know what that means….Throwback Thursday! This week’s featured throwback is the Kings Of Metal album from Manowar. Released in 1988 and due for a 25-anniversary release next year dubbed Kings Of Metal 2014 via Magic Circle Music, this essential album truly captures the Manowar spirit. 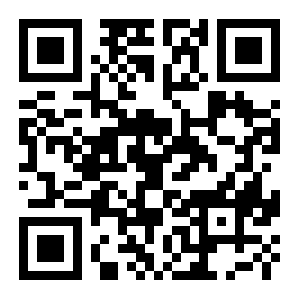 You can listen to the album below, but you might have to turn up just a little due to the dated recording technology. The band will be performing this album in full on their upcoming Kings Of Metal Anniversary World Tour. You can see a promo video for that below the album stream. It’s kind of a slow news day, so I thought it might be a good time for another Throwback Thursday. 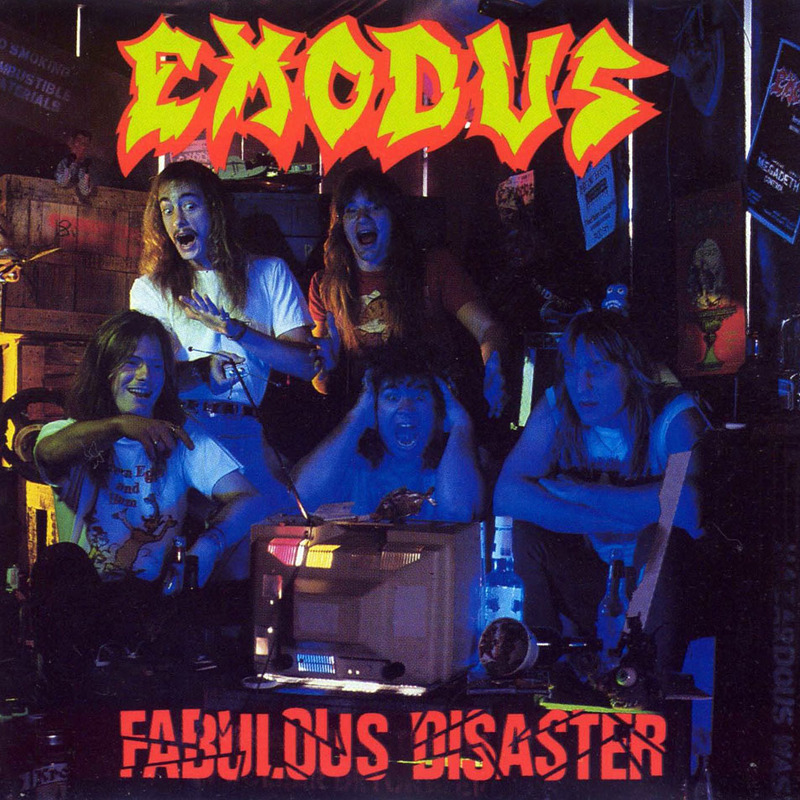 This one is the classic Exodus album Fabulous Disaster, which you can listen to below. It’s got a pretty cool Metal version of ‘Low Rider’ as well, and let’s not forget the mosh pit theme song ‘Toxic Waltz’. This was the album that got me into Exodus to begin with, I had a dude who was a Metalhead as my “sitter” so that worked out nicely. Funny side note: that dude’s younger brother is the “white guy” in Offspring’s ‘Pretty Fly For A White Guy’ video, he also had a small role in the movie Rat Race. But that’s totally irrelevant, I know. It should be noted that this album features Steve ‘Zetro’ Souza on vocals, not their current vocalist Rob Dukes. Zetro is currently the frontman for Dublin Death Patrol. This may or may not be a regular weekly thing, but I thought I would post something for what people are calling Throwback Thursday. I have chosen Pantera‘s collectively forgotten, yet amazingly good album, Power Metal. It was released in 1988 and features some great guitar work from Dimebag Darrell, along with amazing vocals from Phil Anselmo that may not be what you’d expect from the well known former Pantera frontman. These days, he probably couldn’t hit some of those notes to save his life but nonetheless, this is a great album and I often wondered why it was never given a proper re-release. As have many, I’m sure. There are still many fans that have no clue that Pantera had four albums before Cowboys From Hell was released, though it should be noted that the albums prior to Power Metal featured vocalist Terry Glaze. While the “glam era” of Pantera may contradict what we know the band to represent, it’s still part of the ‘Dimebag Legacy’ and I think it should be exposed to the masses via a re-mastered re-release. Hell, it even has Dime singing on the last track ‘P.S.T. 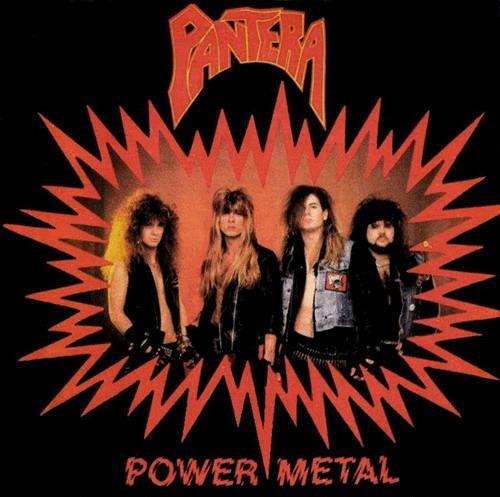 88’ – ok enough reading, time to listen to a piece of Pantera history!